Could one of the biggest fights and events that can be made in boxing be getting closer to becoming a reality? Despite months of negotiations played out in the media, Joshua-Wilder isn’t happening in 2018 after all. That much became clear Tuesday when the WBA announced that it had ordered Anthony Joshua to fight mandatory heavyweight title challenger Alexander Povetkin next or be stripped. 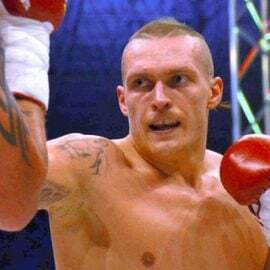 WBA president Gilbert Mendoza said they “allowed over a month extension to negotiations with Povetkin and also ongoing discussions with Deontay Wilder. So with Joshua now on a collision course with Povetkin, the Russian who has twice tested positive for PEDs, any fight between Joshua and Wilder will be tabled until 2019. Matchroom Sport managing director Eddie Hearn blamed the fight’s falling apart on Wilder and his team’s inability to deliver a signed contract in a timely manner, which led to the WBA ordering the fight with Povetkin. Hearn told THE RING that Joshua will “definitely fight” Povetkin in September, and acknowledged the fight could land as a tentpole for the British promoter’s new offering on DAZN in the U.S. A source with knowledge of the plan told THE RING that the fight is absolutely being pegged to air on DAZN, while Hearn said he will hold talks with premium cable networks HBO and Showtime about televising Joshua-Povetkin. Povetkin is a formidable challenger, but the matchup pales in comparison to the superfight that would have pitted Joshua and Wilder. The battle between devastating punchers would have crowned boxing’s first undisputed heavyweight champion since Lennox Lewis in 2003, and promised to generate upward of $40 million in revenue. 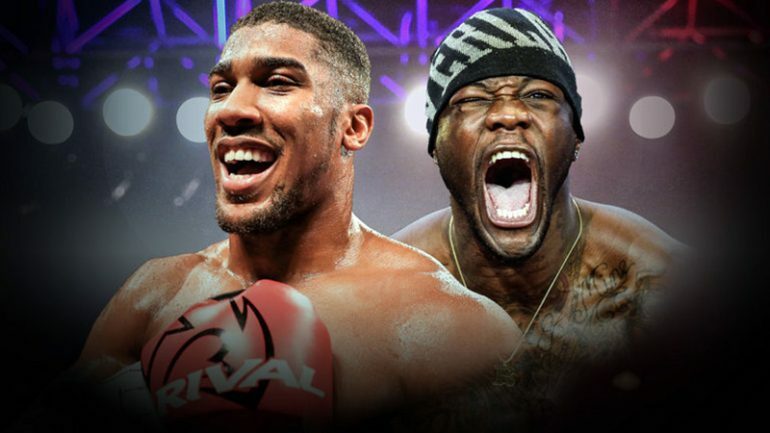 It’s a fight that’s been hotly anticipated for years, and as Joshua and Wilder continued to rack up spectacular knockouts, the public’s appetite for the matchup only grew. 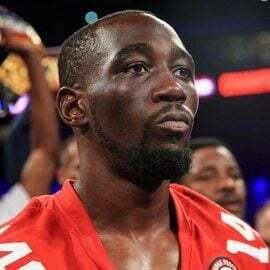 It reached a fevered pitch last month when Wilder’s co-manager, Shelly Finkel, told media members that they had accepted the term sheet delivered by Hearn for a guaranteed purse of $15 million. But just weeks later, the fight is definitively off the table for 2018. “Joshua said on the night of his last fight from the ring, ‘my next fight is going to be Wilder,” Finkel told THE RING on Tuesday. “Obviously, that’s not true. Then he publicly said give me $50 million and I’ll sign tomorrow. We came up with the 50, [Hearn] never even responded. He then offered Deontay $15 million. 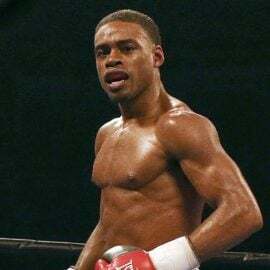 Hearn also wasn’t shocked at what he termed as Finkel’s “old-school games.” The 73-year-old claimed Hearn never even bothered to file for an exception with the WBA to stage the unification fight, a notion Hearn scoffed at. He says the WBA has been patient while the negotiations played out. 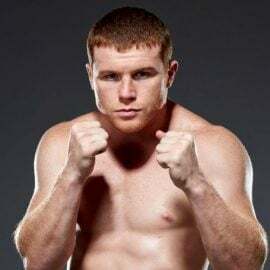 Finkel believes that Hearn wanted Joshua to fight Povetkin all along so he could place the fight on DAZN, part of the promoter’s new eight-year, $100 billion streaming deal in the U.S., and what bigger way to enter the market than with the No. 1 heavyweight in the world, and perhaps the sport’s biggest global attraction? The assumption is that Joshua-Wilder will still take place, possibly in the spring of 2019. 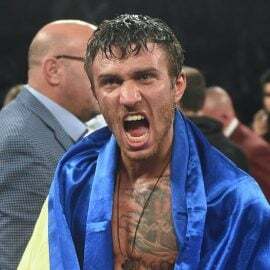 Hearn says that the contract that was sent to Wilder, 32, and Finkel is still valid for next year under the same terms, and he floated April at Wembley Stadium as a possibility. 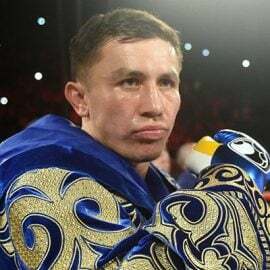 “Shelly Finkel has done Deontay Wilder an injustice in these negotiations because to not go back on a contract for over a week and then request another four or five days, makes me feel like this guy isn’t full-time on the job,” said Hearn. “So now this same fighter has to go back to this same advisor and ask him what’s next. “I believe the WBA saw it coming yesterday and said enough is enough. … We sent them a term sheet, and they accepted all the terms, and then when they came back, they wanted a two-fight deal. I don’t understand why after a week they wanted five days to make comments on the contract. I’m getting 1,000 calls a day, and I don’t actually have Shelly Finkel’s number. It takes him three days to answer an email; does he even have an email? 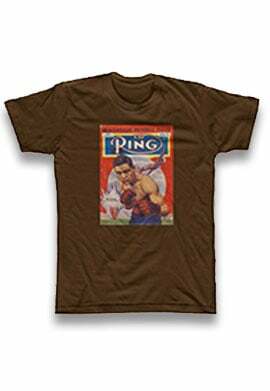 “If they wanted this fight, the minute you get the contract you go through it with a fine-tooth comb. I would go through it within an hour of getting it. Hearn said he will make a two-fight offer to Wilder for “considerably more money” then he’d otherwise make to sign with Matchroom and compete on DAZN, with the first bout in the fall and the second fight a meeting with Wilder. But the other offer still stands to meet Joshua in the spring of 2019. Finkel, who also advised Klitschko, said he was impressed with Joshua’s performance in the victory over the future hall of famer, and felt that if Klitschko was younger, he would have finished off the Olympic gold medalist after he dropped him in Round 6. What would happen if Wilder hurt Joshua in the same fashion? We won’t find out in 2018, but hopefully, the answer will come soon enough.